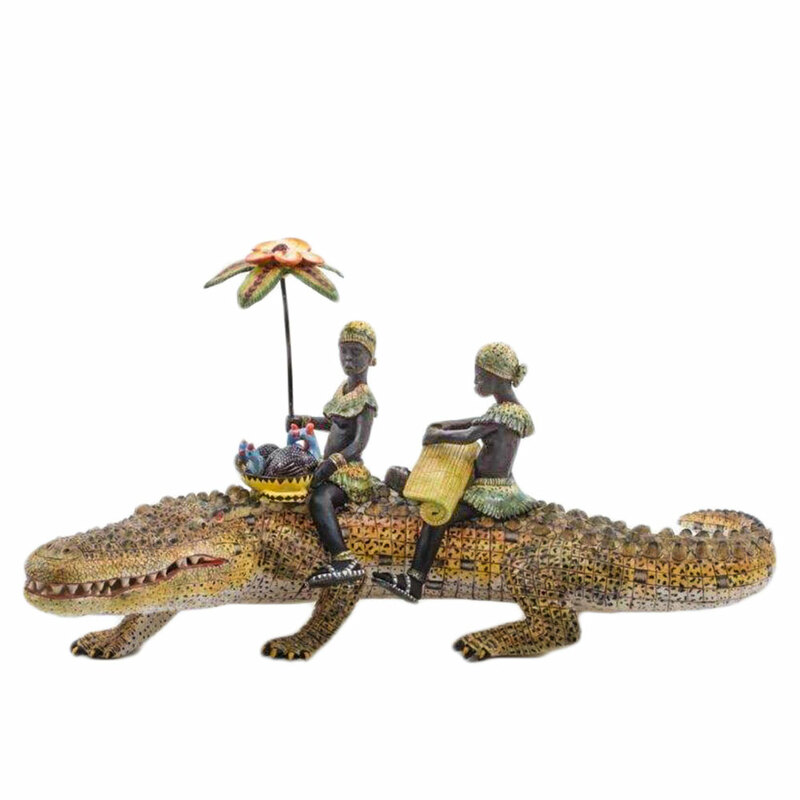 You should “never smile at a crocodile” according to the humorous children’s song. 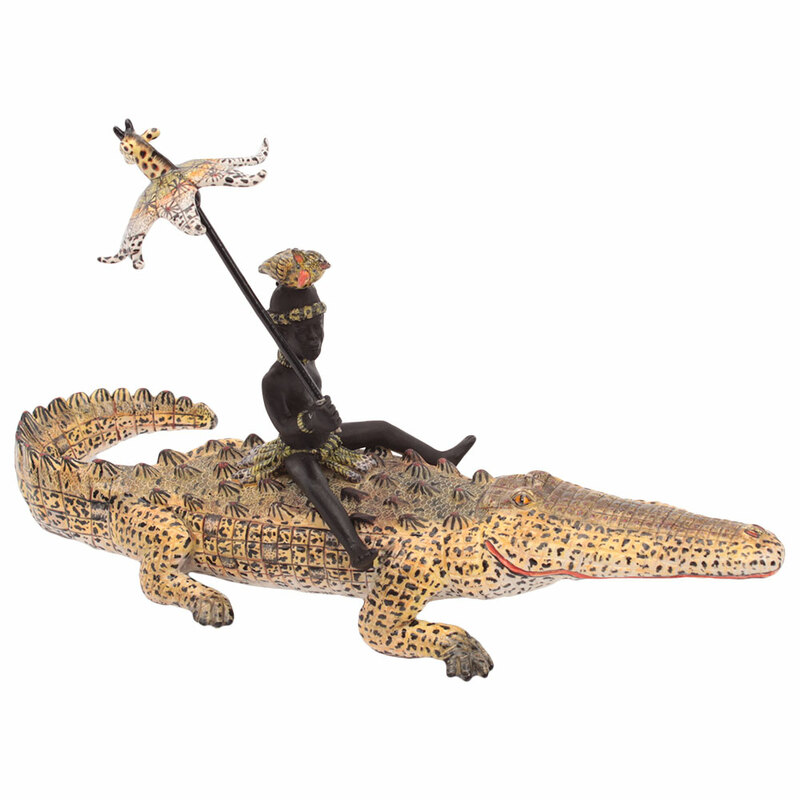 However, we can’t help smiling at all the intrepid Zulu crocodile riders traveling happily on the backs of these formidable reptiles with wide toothy grins at WMODA. 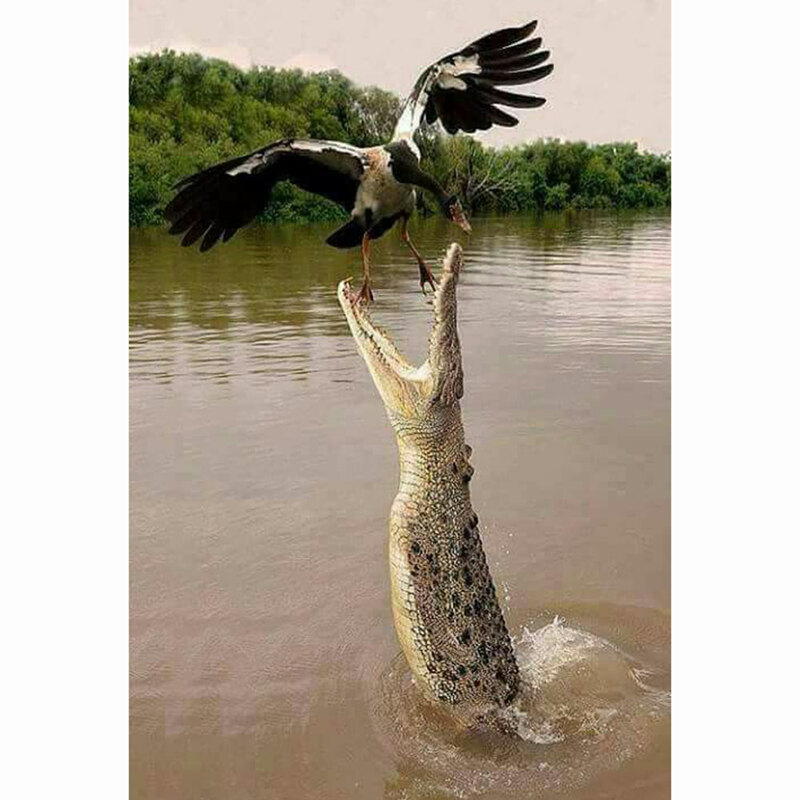 The Nile Crocodile, which can grow up to 20 feet, is the second largest living reptile in the world after the Saltwater Crocodile. 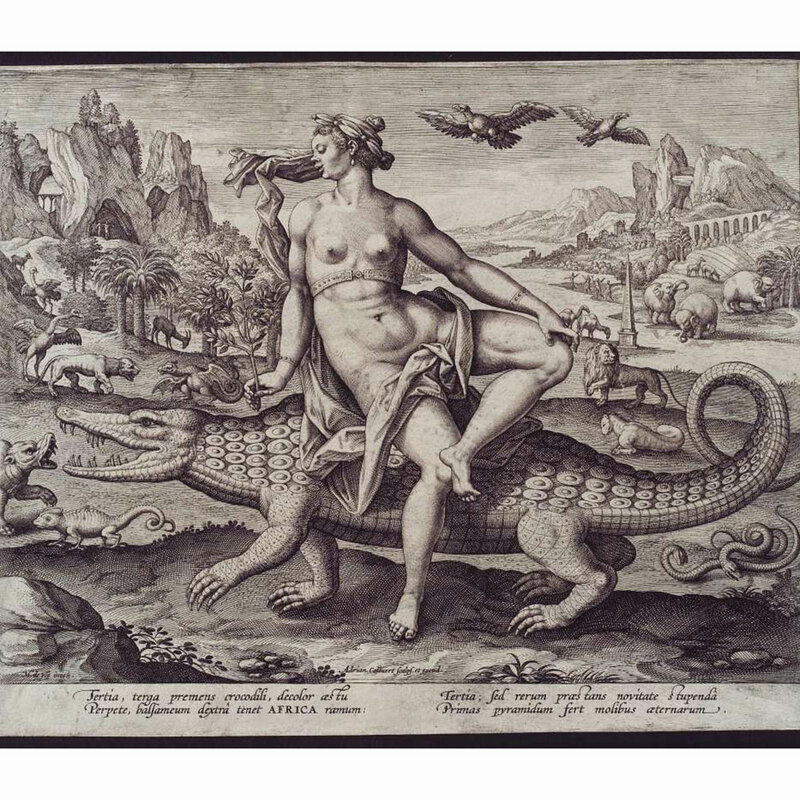 Despite the fearsome reputation of these huge predators, children were shown playing with crocodiles in ancient allegorical sculptures of the River Nile. 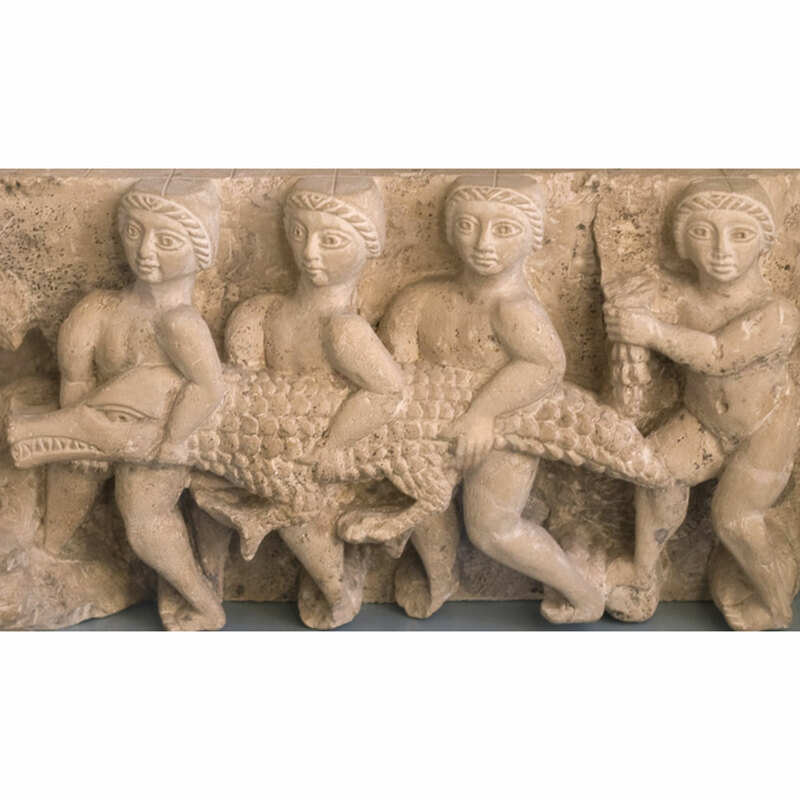 See the illustrations of the Roman Colossus of the Nile in the Vatican Museum and the ancient Egyptian sculpture showing a group of children carrying a crocodile. 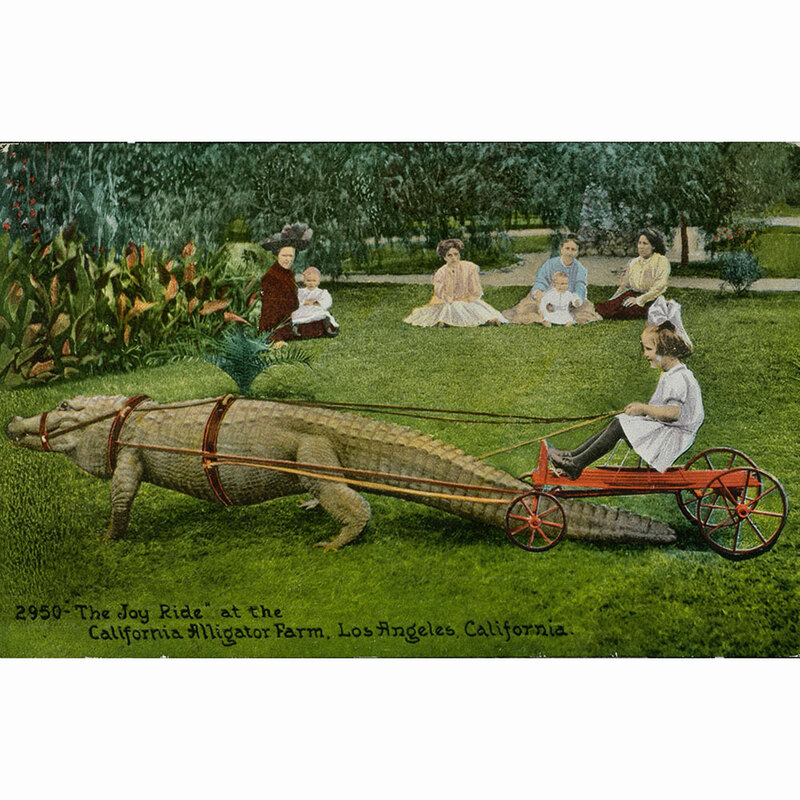 It’s hard to believe that children continued to be depicted with these dangerous reptiles in 20th century America and were posed for tourist photographs at alligator farms during the 1920s. 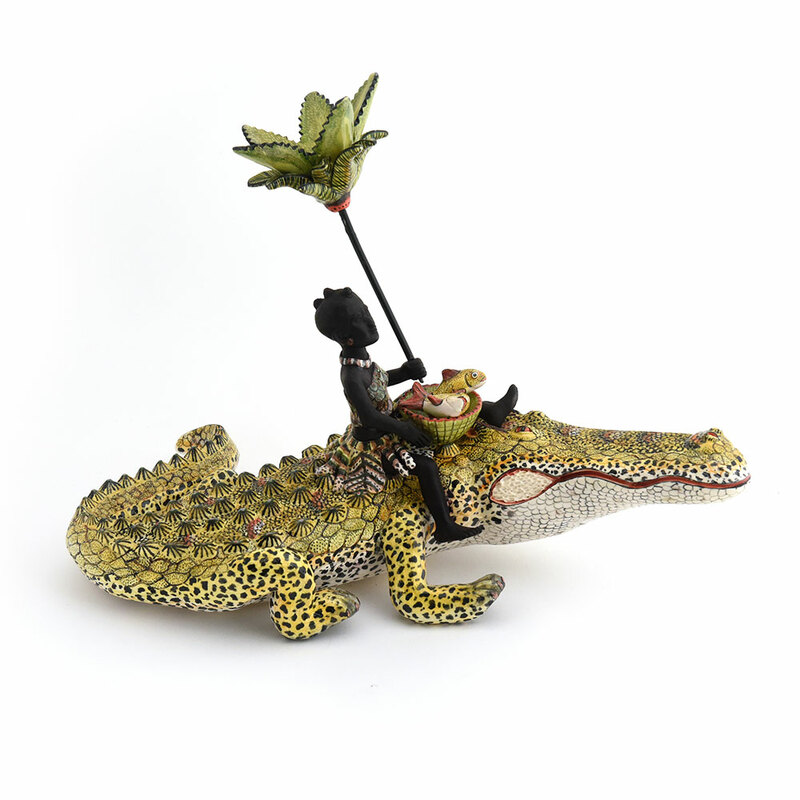 During the 16th century, personifications of Africa and America were both depicted riding on crocodilians. 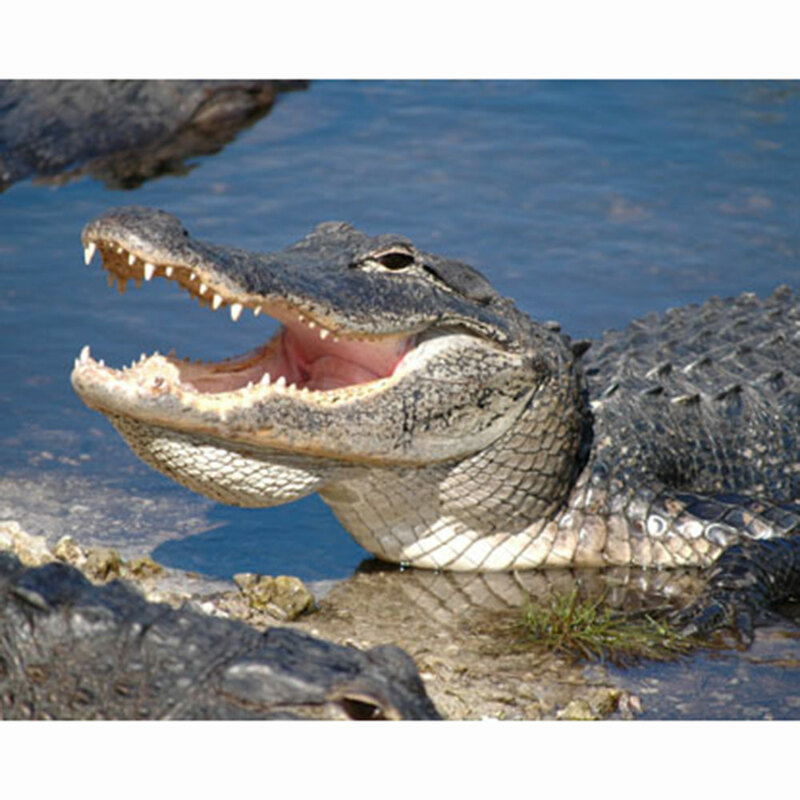 The differences between alligators and crocodiles can be seen mainly in the snout and teeth. 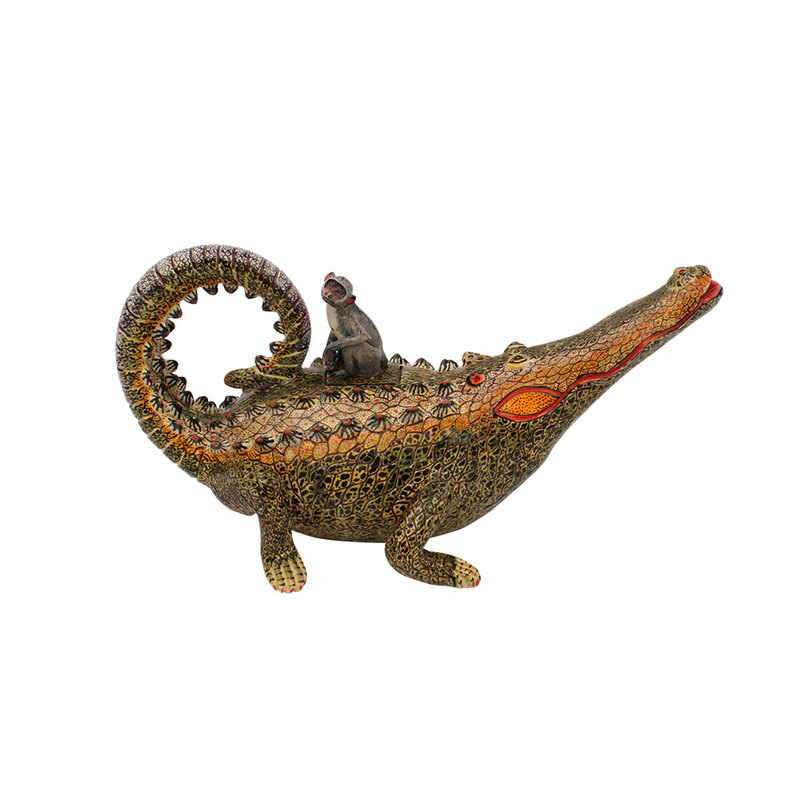 Alligators have a rounded U-shaped snout and crocodiles have a more pointed V-shape. 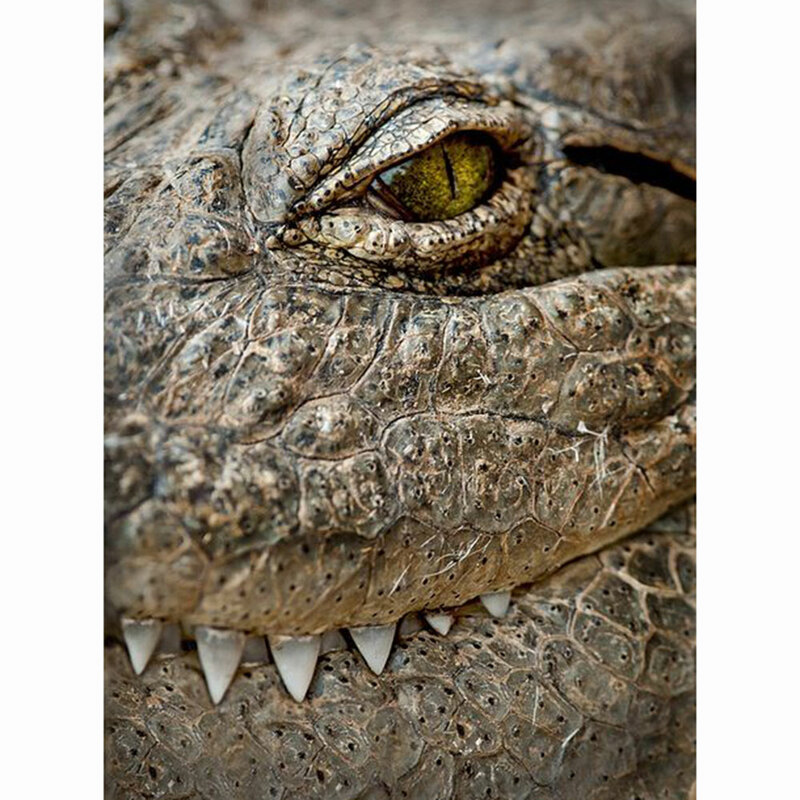 The lower jaw teeth of a crocodile are exposed when the mouth is closed, the alligators are not. 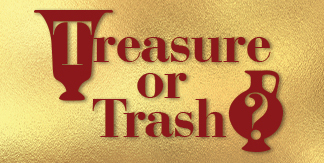 Both have heavily armored skin. 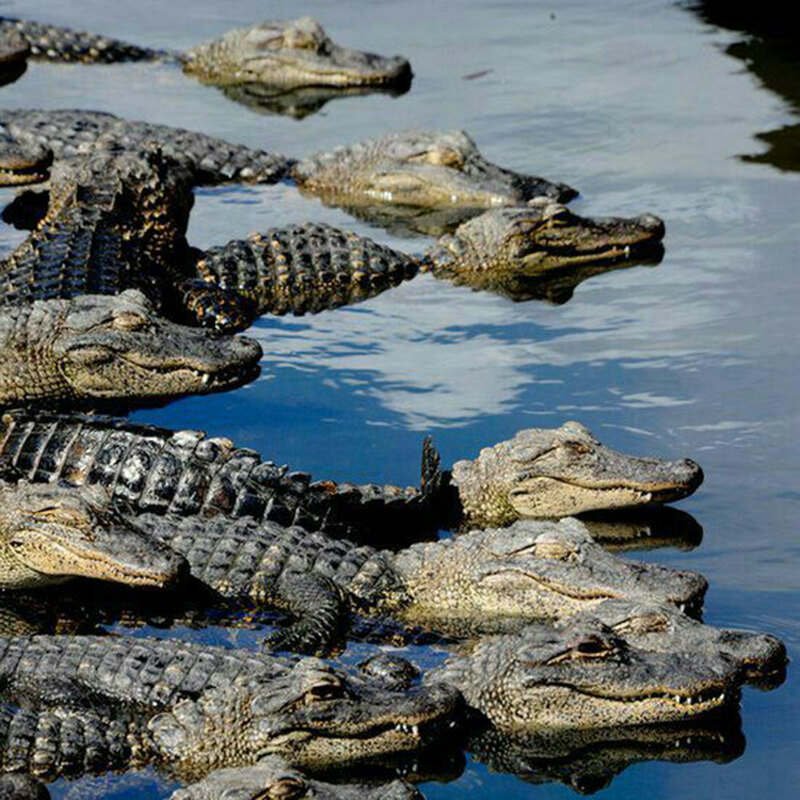 The brackish waters of the Florida Everglades is the only place in the world where crocodiles co-exist with alligators. 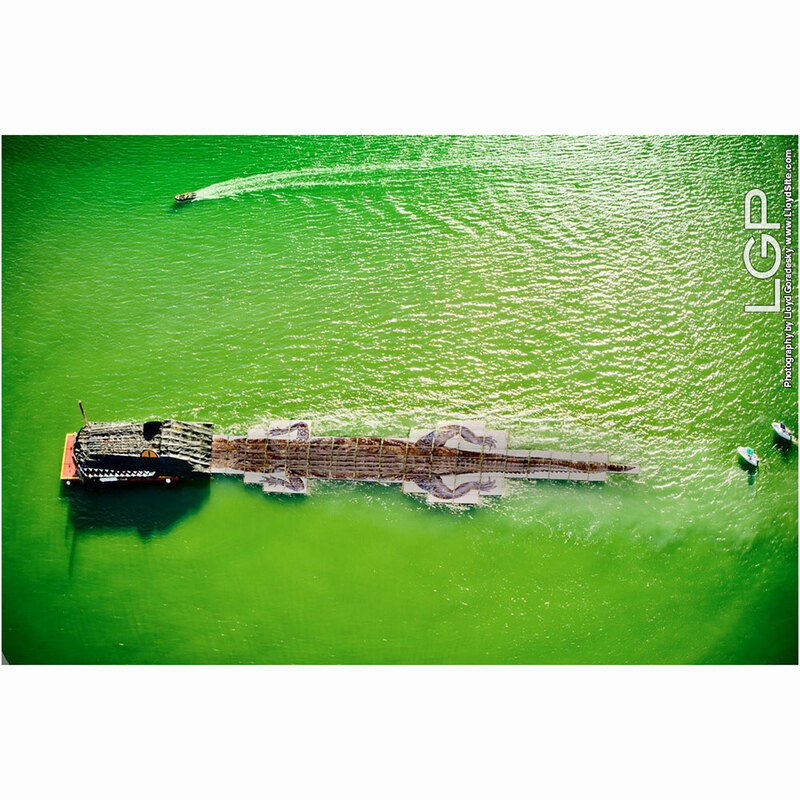 Preserving the unique habitat of the Florida Everglades was the mission of public artist Lloyd Goradesky when he created his iconic Gator in the Glade. 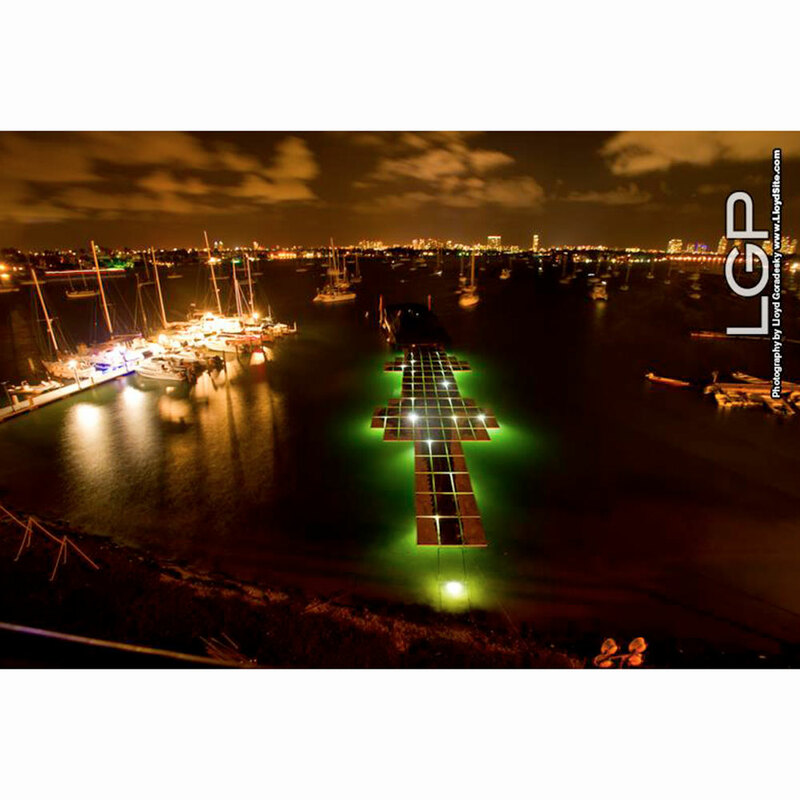 The world’s largest alligator was floated in Miami’s Biscayne Bay during Art Basel 2012 and 2013. 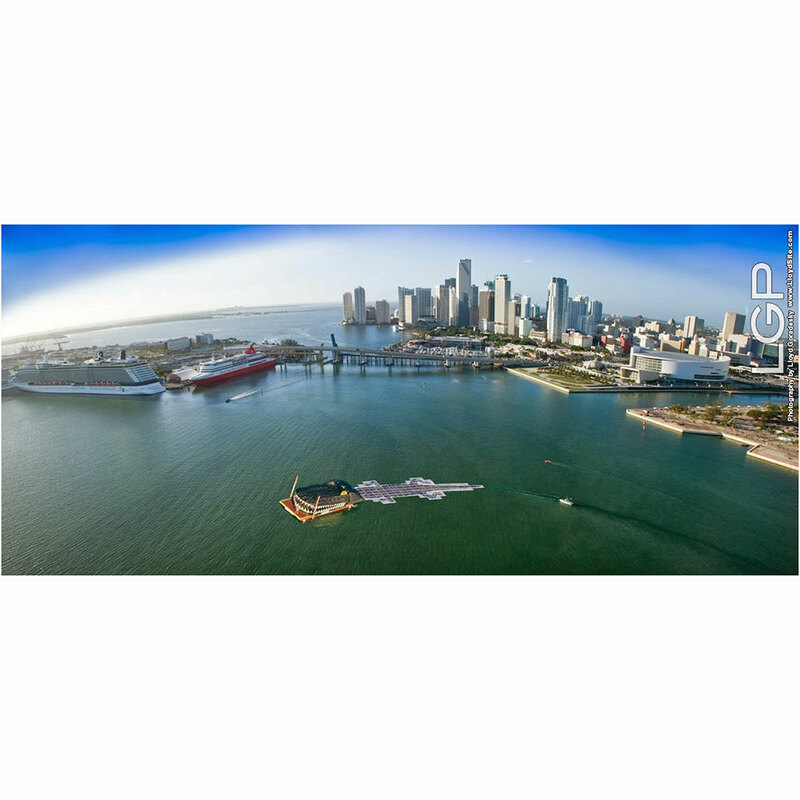 The extraordinary art installation was 280 feet long and the body was a giant photo mosaic composed of floating art tiles featuring 83,000 of Goradesky’s digital images of the Everglades. 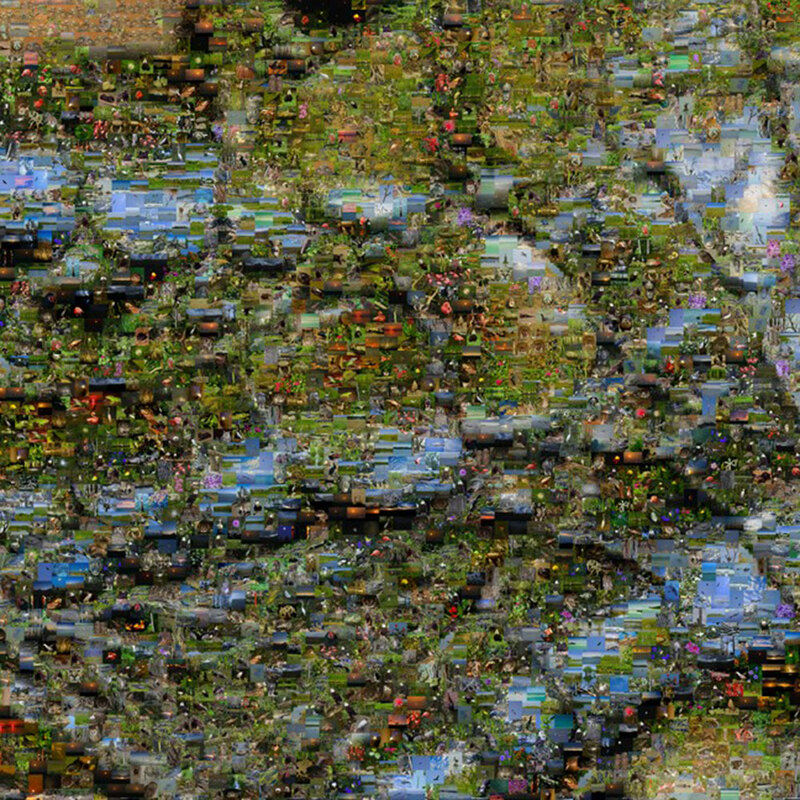 Meet the artist and learn photography from a pro at WMODA on Friday, April 27th. 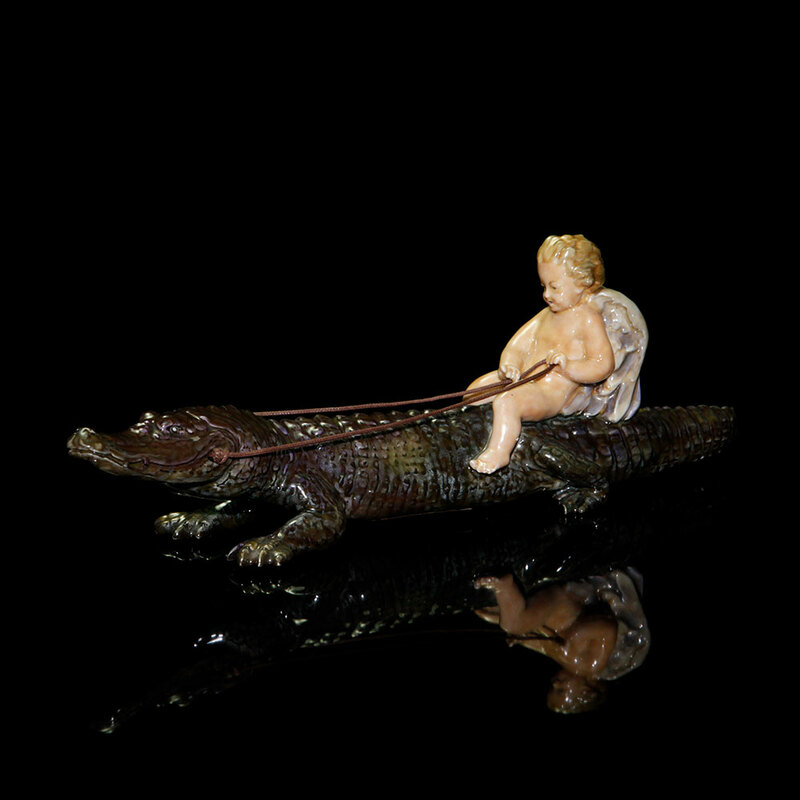 You can also see the Ardmore crocodilians in our “Cabinet of Curiosities” exhibit together with a very rare Royal Doulton figure of a winged putto riding a crocodile. 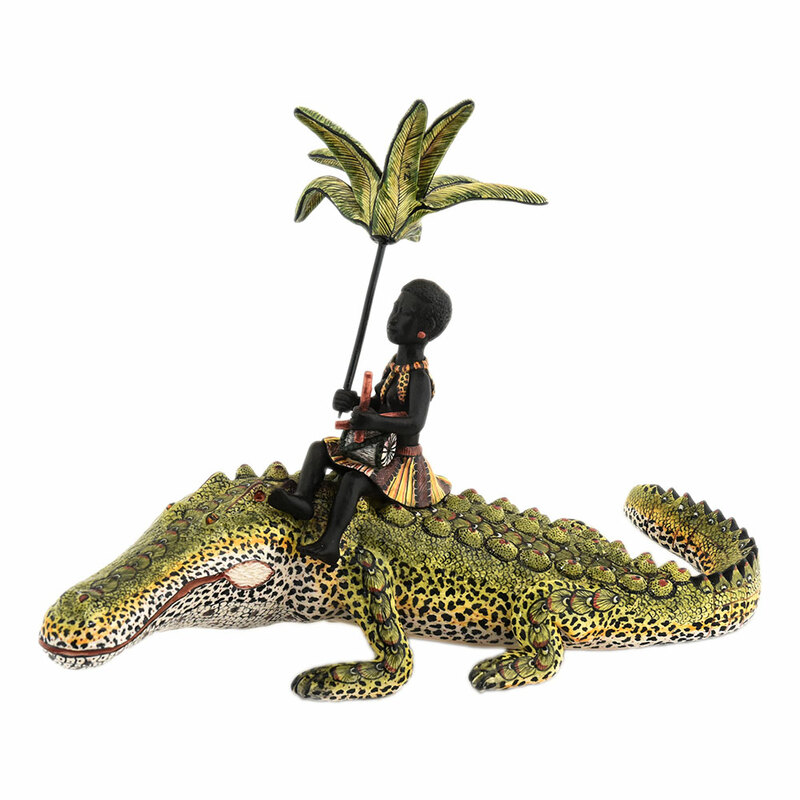 Boy on a Crocodile was modeled by Charles Noke and introduced in 1920 but production of this unusual subject must have been very limited as only a few figures are known to have survived. 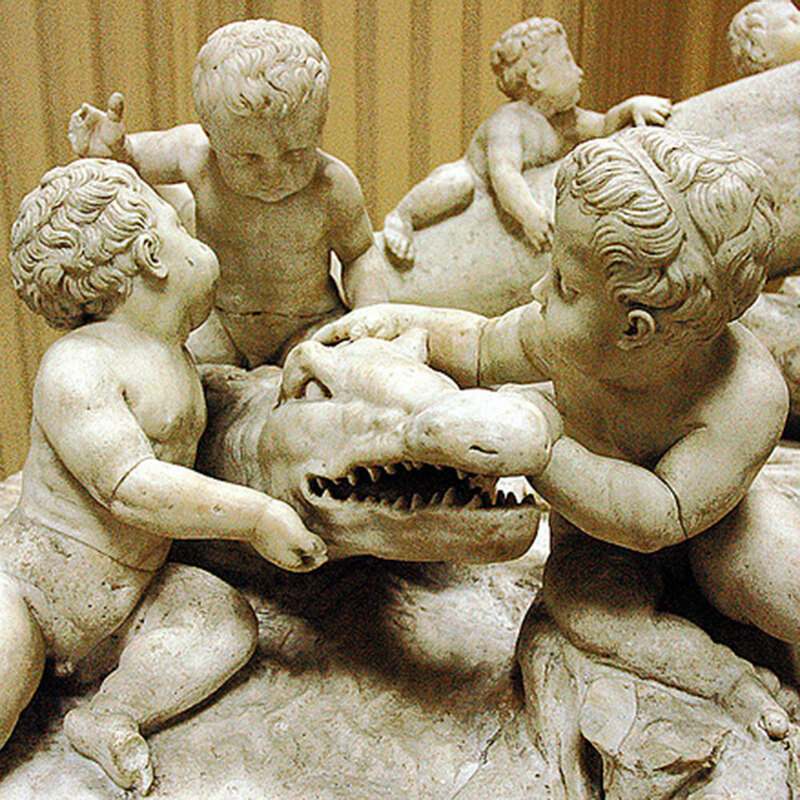 Charles Noke modeled several figures of children and putti riding unusual creatures, including a crab and crocodile. 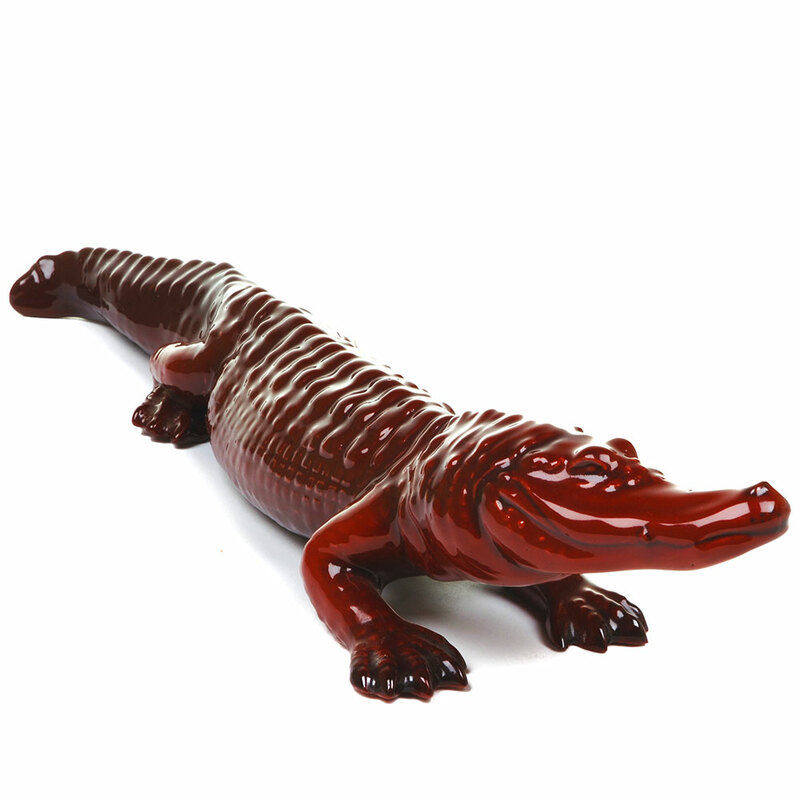 The strange aquatic subject matter may have been inspired by Charles Kingsley’s Victorian fairy tale about a young chimney sweep. 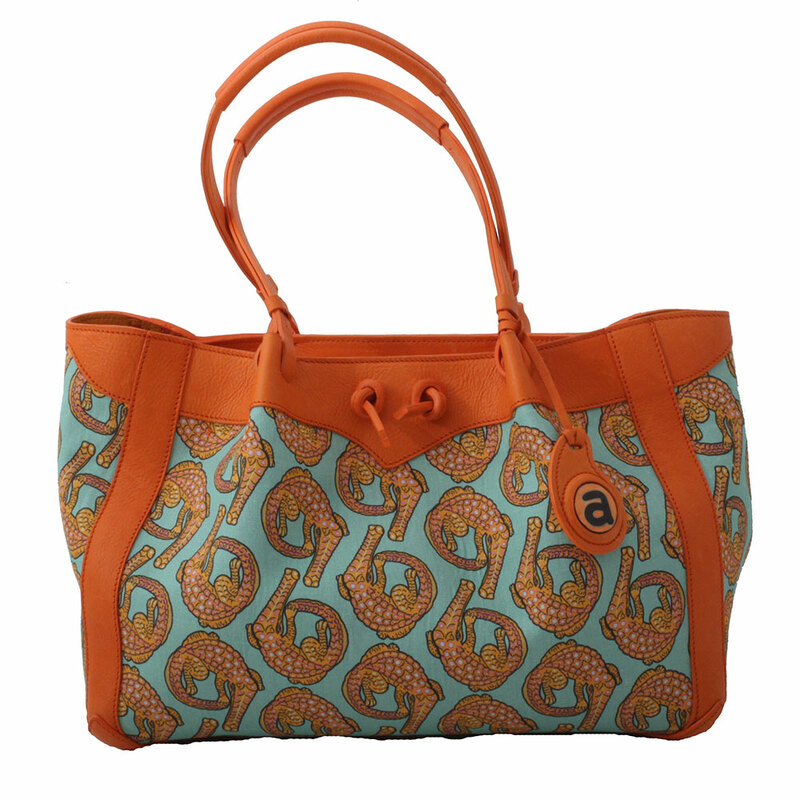 who is transformed into a water baby and plays with the creatures of the sea. 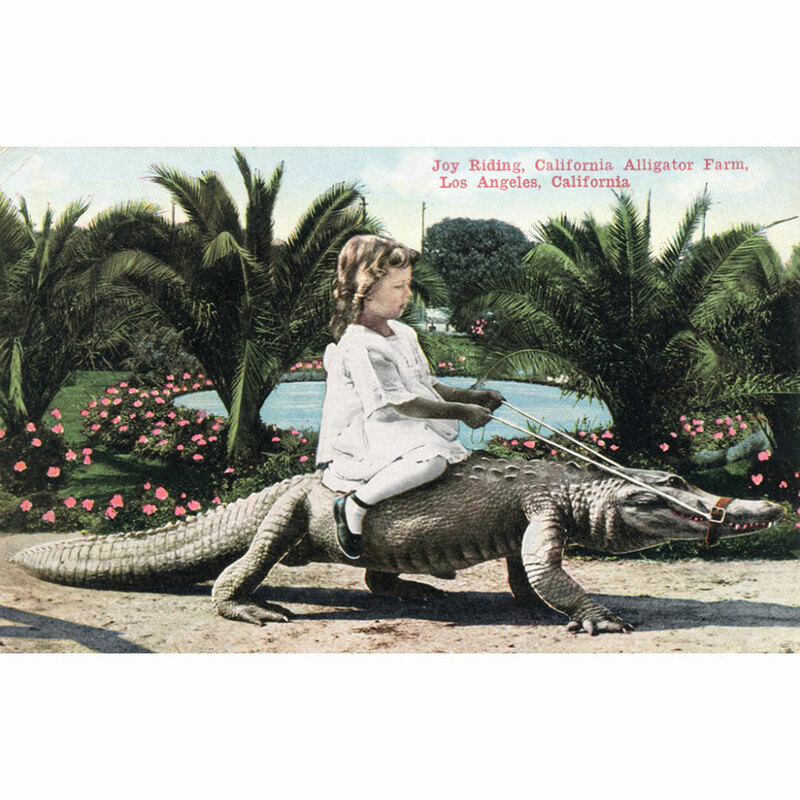 Or perhaps Noke received a postcard of a juvenile rider at an American alligator farm! 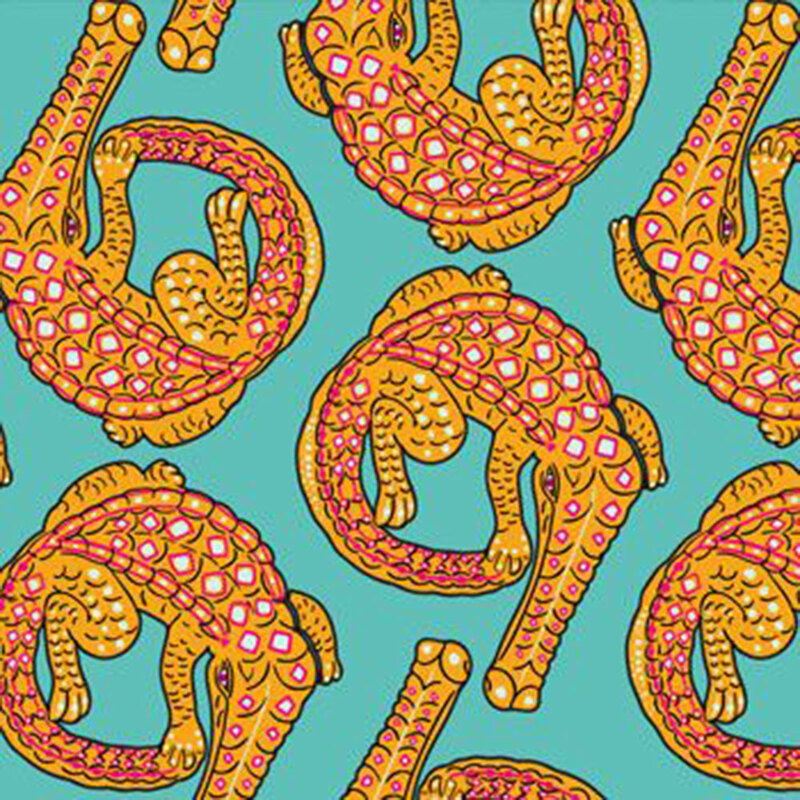 Crocodiles have inspired fabric patterns for Ardmore’s design range. 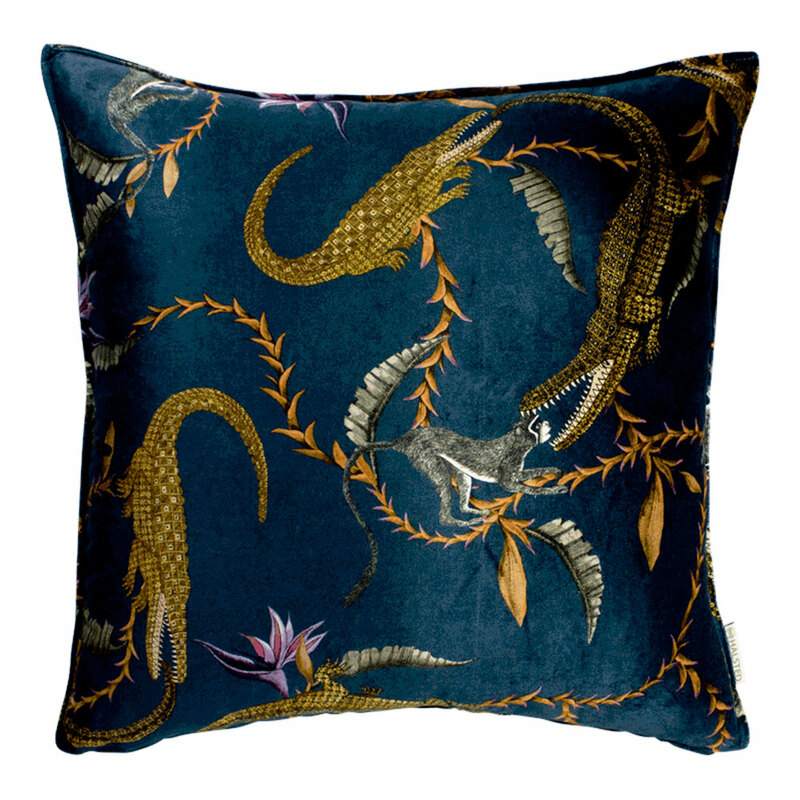 Table linens, pillows and hand-bags have been produced in the Croco design and the Zambezi collection of pillows includes the River Chase design with a monkey being chased by a crocodile. 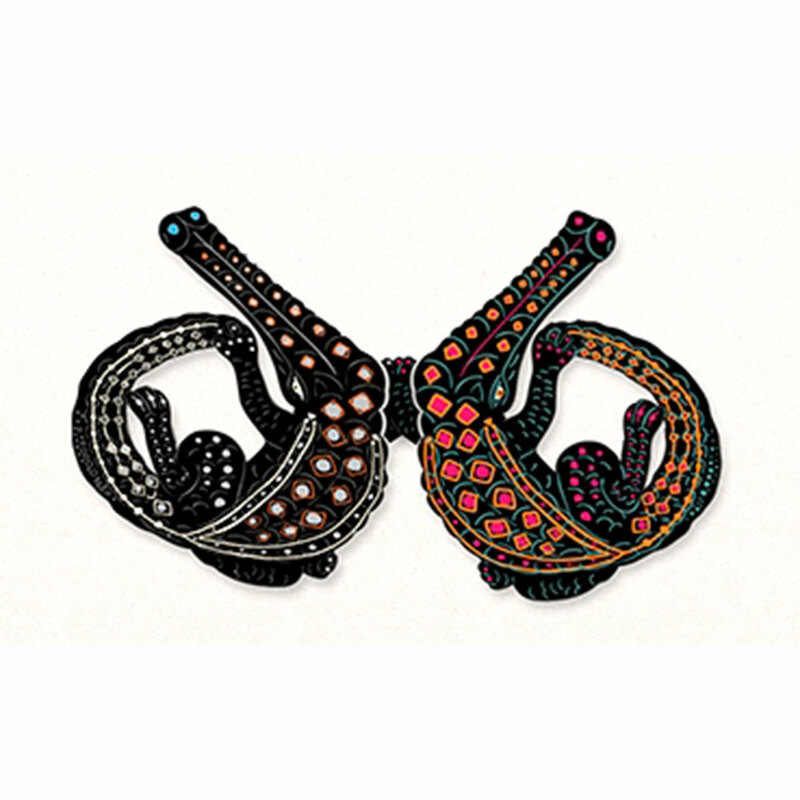 The pillows are available for a short period at the WMODA shop. 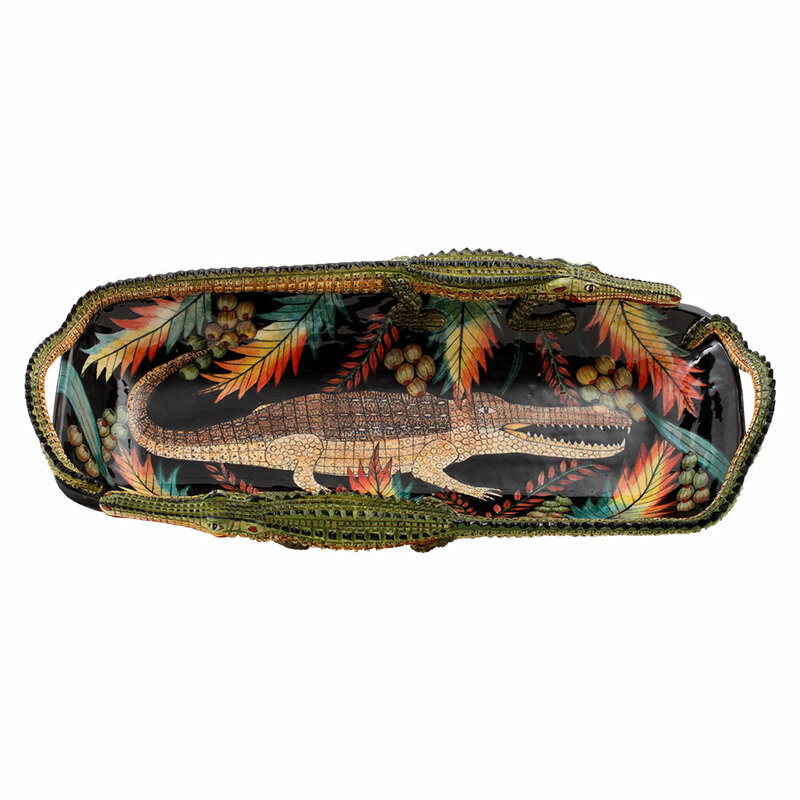 Hurry as we don’t want any crocodile tears when they are gone!